Our story as a global youth accommodation network spans over 100 years, way back before budget travel was a rite of passage. 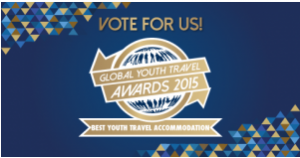 Still, in 2015, we work with Youth Hostel Associations all over the globe to make sure both the young, and young at heart, can see the world without it costing the earth. From eco-friendly initiatives, to worldwide exchange competitions, we build bridges and help you to travel differently, bringing you value which extends way beyond a bed for the night. We’ve got one-of-a-kind hostels in all the right places: everyone loves a quirky dorm room, a boutique new-build or a heritage retreat. From medieval English castles to slick Spanish design digs, we choose our places wisely. 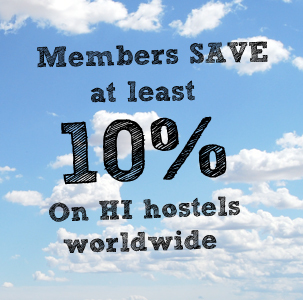 Membership makes budget youth travel a breeze: we offer 10% discount on accommodation worldwide to members of Hostelling International. Add eMembership to your booking, and start saving money on your overnight, with plenty of great local offers available too.